Our ears are still ringing from the return of #RPMLive for the 2017 season. Last month’s show was a sold out, incendiary re-introduction—and this month’s show promises something equally compelling. For RPM Live : 007, we join forces with Toronto’s acclaimed hub for sonic experimentation, The Music Gallery, to present an evening of electronic and experimental music as part of the X Avant New Festival XII, whose theme this year is, appropriately, Resistance. For this special show, we present three of Turtle Island’s most fascinating artists working to destroy genres and expand sonic possibilities. 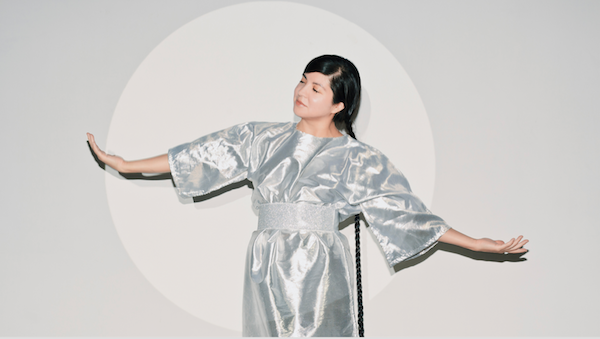 Cherokee/Muscogee performance artist Elisa Harkins brings her Cherokee disco project to Tkaronto for her very first concert performance in the city. Brilliant violinist and composer Laura Ortman returns to the city, following her hypnotic performance at the AGO for our Other Worlds series this summer, and with an incredible new album at her side, My Soul Remainer. And Vancouver-based, Blackfoot pop experimenter Mourning Coup brings us her latest evolving art/performance/musical incarnation and incantation. RPM Live is an Indigenous music performance series showcasing the best in Indigenous music culture. The series features performances by emerging Indigenous artists from across Canada and Turtle Island. Each show, we bring you a curated event, across styles and genres, that includes live bands, DJs, acoustic sets, visuals, and more. 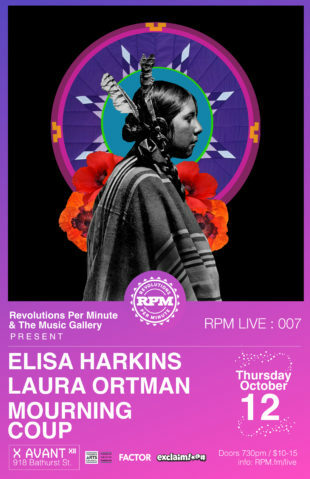 #RPMLive is a unique opportunity to see Indigenous music in an exclusive and intimate setting with incredible sound. To date, we have presented shows in Toronto and New York City. If you would like to see RPM Live in your community, please contact [email protected] Follow #RPMLive for the latest.